Built into the hillside of South Mountain at the southern end of Phoenix, is the urban village of Ahwatukee. Since the mountain separates the village and the city, you can only see Phoenix from Ahwatukee by standing at the mountaintop. 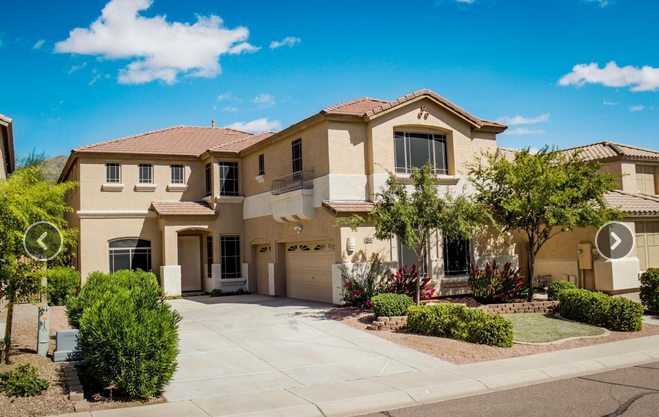 Ahwatukee’s dramatic beauty combined with the amenities of a large city is priceless. 300 days of sunshine per year with very low humidity is the most comfortable climate for many people. The Ahwatakee foothills are also about five degrees cooler than the desert flat lands of the cities of Phoenix, Chandler and Tempe which are very close to Ahwatukee. Serious golfers and hikers choose this climate and are thrilled with the ability to enjoy favorite outdoor activities all four seasons. The close proximity to Phoenix, Chandler and Tempe also provide excellent employment and business opportunities as well as high quality services that can only exist with the infrastructure of a large well developed urban setting. With Ahwatukee, a resident gets the best of both. Condominiums, fair sized single family homes and large custom designed mansions are available as well as exclusive retirement communities. Beautiful southwest style condominiums have the amenities that allow for a carefree life style with pools, community rooms and fitness centers. There are a few available home sites remaining for those who choose to build their own custom home. All homes in Ahwatakee benefit from close proximity to public parks, South Mountain and the spectacular desert views that frame this urban village. Children in Ahwatukee who are preschool through grade eight benefit from the award winning Kyrene School District. Kyrene School district is proud of the highest math, science and reading scores in the state. Students of this district also gain from fully developed curriculums in art, music, PE and foreign language. Tempe Union High School district operates two high schools serving Ahwatukee teens that also boast the highest rankings in the state. There are many private school options, but parents and students are very satisfied with the public schools. Ahwatukee has its own public community college and for students interested in nearby four year colleges, Arizona State University’s Phoenix campus is only 18 miles from Ahwatukee. Water recreation enthusiasts enjoy the four boating lakes in this area which are Lake Pleasant, Canyon Lake, Saguaro Lake and Apache Lake. South Mountain Park which is famous for being the largest municipal park in existence because it has over 17,000 acres delivers expansive outdoor activity opportunities. Cycling, mountain biking, hiking and horseback riding are popular in this park. Several popular trail heads are located on the Ahwatukee side of the mountain. Within Ahwatukee Village are four golf courses. Club West, Foothills Golf Club, Ahwatukee Country Club and Ahwatukee Lakes promise golfing pleasure for every level. City services of Phoenix extend to Ahwatukee and include high quality public transportation and major hospitals such as the Mayo Clinic, Scottsdale Healthcare Shea Medical Center and St. Joseph’s Hospital and Medical Center which placed at the top of US News and World Reports list of best hospitals. The magnificent selection of museums and theaters showcasing Southwest Culture for the Greater Phoenix area are all convenient to Ahwatukee. The Arizona Science Center, Arizona Opera, Phoenix Symphony and Ballet Arizona guarantee cultural enrichment for every Ahwatukee resident.